How Can I Set Up Project Terms So I can Invoice Based On Time Tracked? 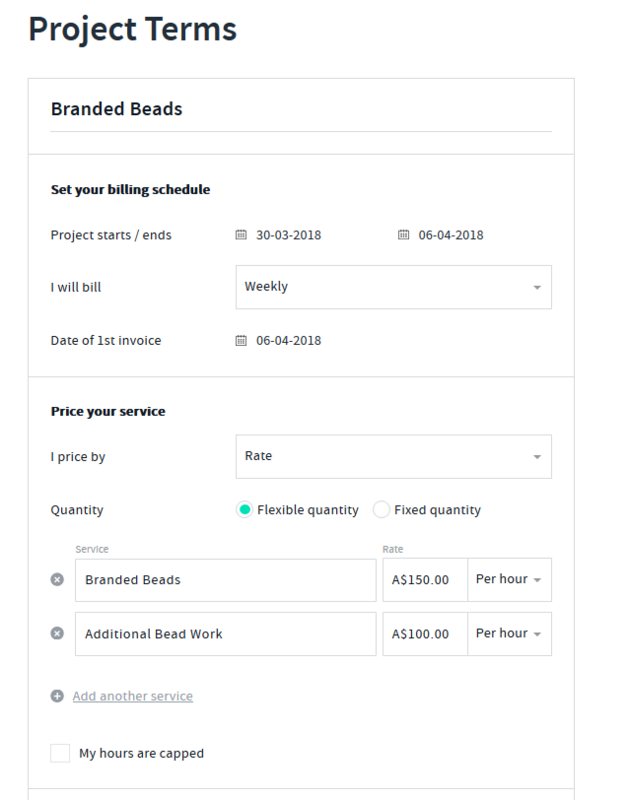 Set up your project terms so you can invoice based on time tracked! Project Terms For Time Tracking! 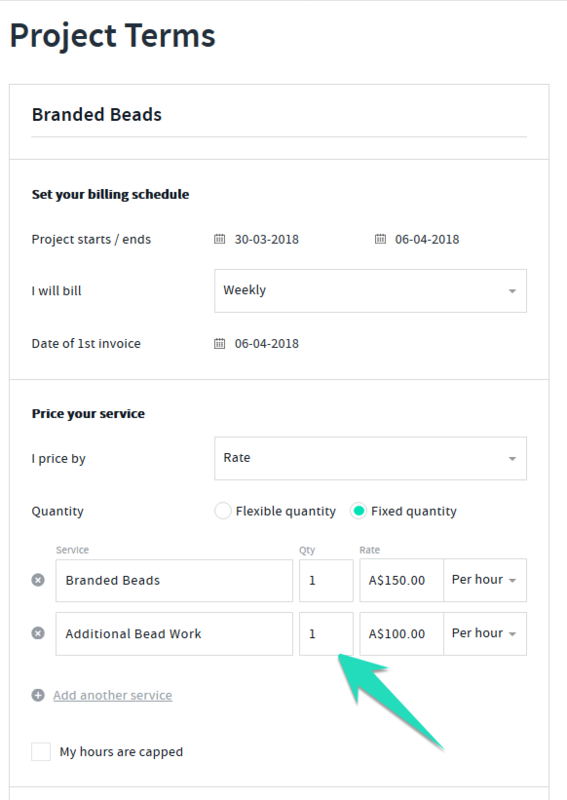 For projects that you will track time and where you will invoice based on time tracked or hours worked it is best to set up your terms within your project as "Rate" and select the options of setting up a flexible quantity which does not require a custom quantity. or a fixed quantity where you have the option of entering in a set quantity against the rate. The best workflow of the app is to start with your proposal/contract first as once approved your project is auto created for you in the app. The best workflow of the app is to create invoices within the project itself so it is tied to the project.